The ground was covered in sparkly frost this morning as I took Maddie to school. It won't be long until snow. We had a few flakes leisurely falling from the sky the other day. Winter seems to come out of nowhere, one day you wake up and the grass is covered. Today the sun is shining brightly. I've got spaghetti sauce and meatballs cooking on the stove and the house is already smelling good at ten in the morning. I have three quilt tops completed for the art hop next month. I plan on making one more with the fabric above. Bright colors are speaking to me right now as well as retro Santa's. I need to get busy quilting these as I hope to make a couple of pillows, some elf dolls and tote bags. Its crunch time but I'm not concerned. Whatever is done is what I'll take to sell. Are you working on anything for Christmas? I'm finishing a quilt for my mom. I bought a basket for my sister to put her crochet in, but I need to make pockets for it. My sister asked for a ladybug apron for Christmas, so I'll make one for her and my niece and my niece's barbie doll. I also want to make some mug rugs for my stepmom. These retro santas are wonderful! It reminds me of endless hours wrapping gifties. I love your quilts Renee! Oh my you have been a busy girl. 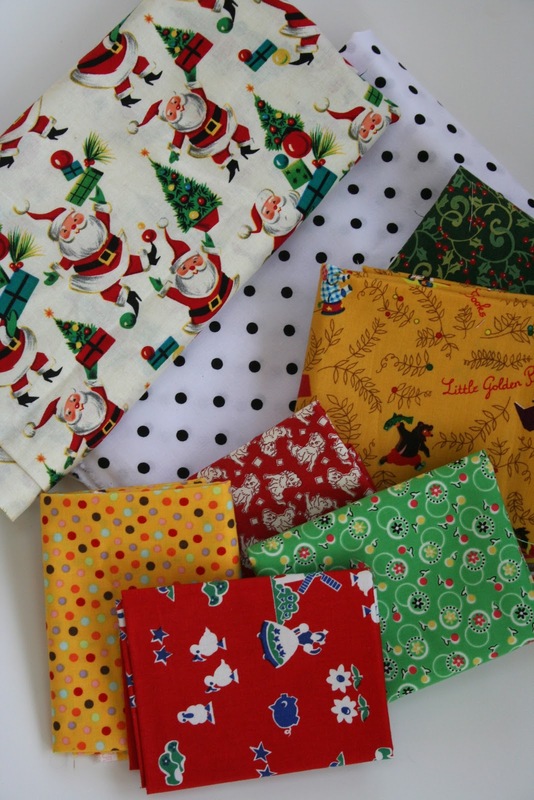 I wish I was Christmas sewing. Next week I start skirts for my 7 girls. I'd really like to do a Christmas quilt, but a tabletopper will probably all I get done. The little dutch girl fabric is adorable. Love retro fabrics. 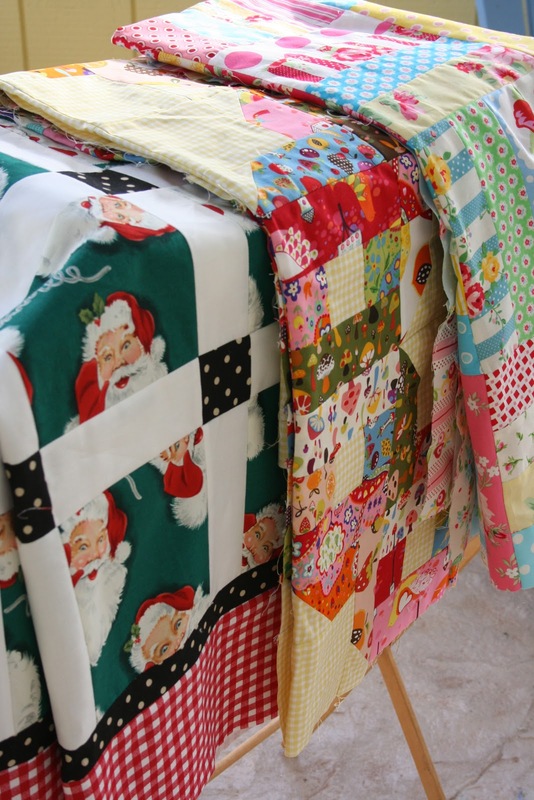 You must be making a whole in your stash with all those quilts.